You guys, I'm so excited! We keep adding unique and full of personality pieces into our space. I'm having so much fun experimenting, with different textures, styles and materials. I can't wait to show you the final look of pretty much everything here. Since we already had the main character of our living room (our leather couch), I wanted the auxiliar sitting furniture to be more ''simple'' but to have light of their own, I wanted something that would stand out and be a statement in the living room as well. In my research I found www.everythinghome.net a huge Ebay store that sells exactly what their name says: ''Everything Home'', they have a big variety of furniture, I was impressed and honestly, overwhelmed by all the options. 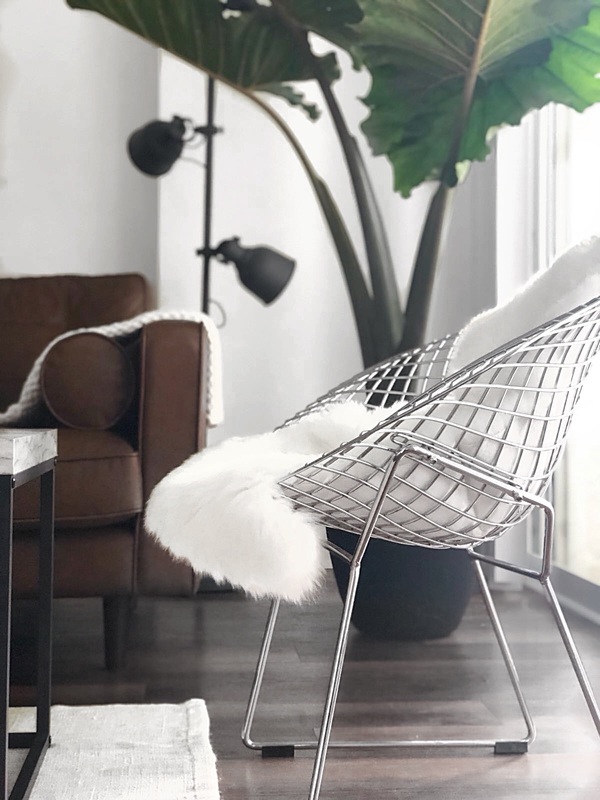 I was looking for a chair like this one for ages, my Pinterest Home Decor board was pretty crowded of ''Inspo'' pictures of it, so when I saw it in their store, the ''Diamond Bertoia Style Lounge Chair'' , getting it was out of discussion. 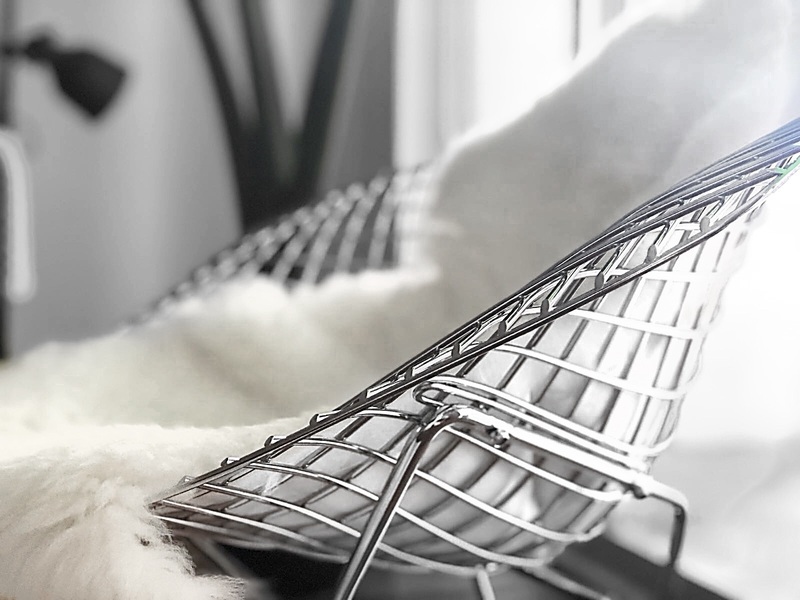 It's a beautiful wire silver chrome chair, very lightweight and the quality is amazing. I want to thank big time to their customer service, they were VERY attentive and always in contact with me, they helped me with everything and they really made the experience even more joyful. 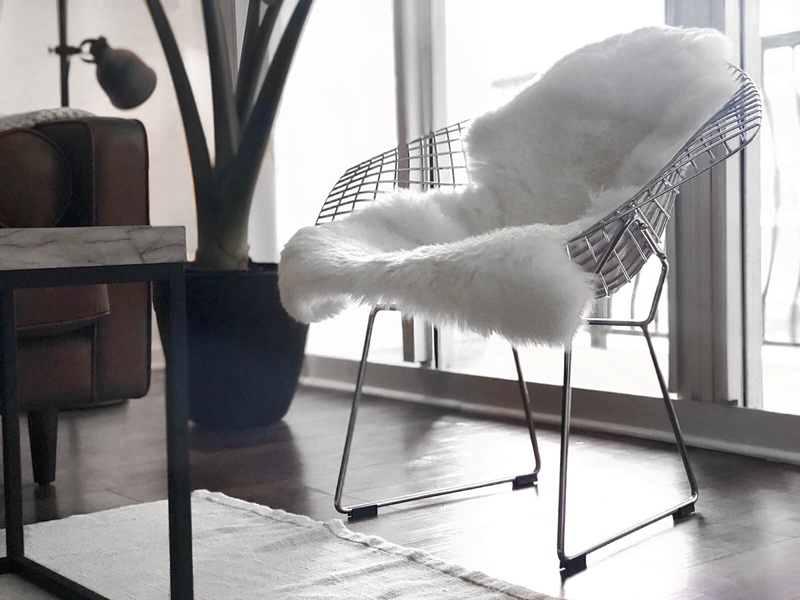 I love how simple yet classy the chair looks, I adore the vibes it adds to the space and how well it blends with the rest of the elements we're adding. 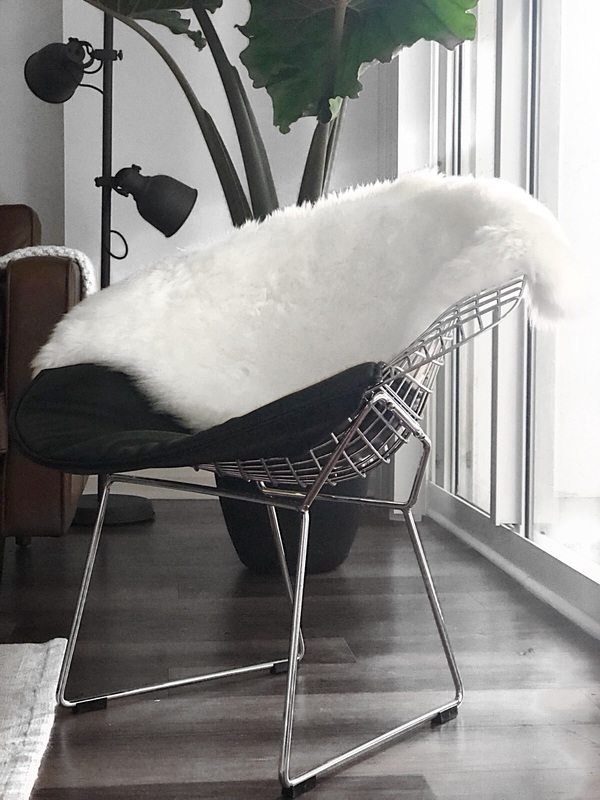 It came with a black sitting cushion (it can also be white), and even though I like the way it looks I'm obsessed with the sight of it with our new Sheep-Skin from Super Area Rugs, a store I discovered on Etsy. 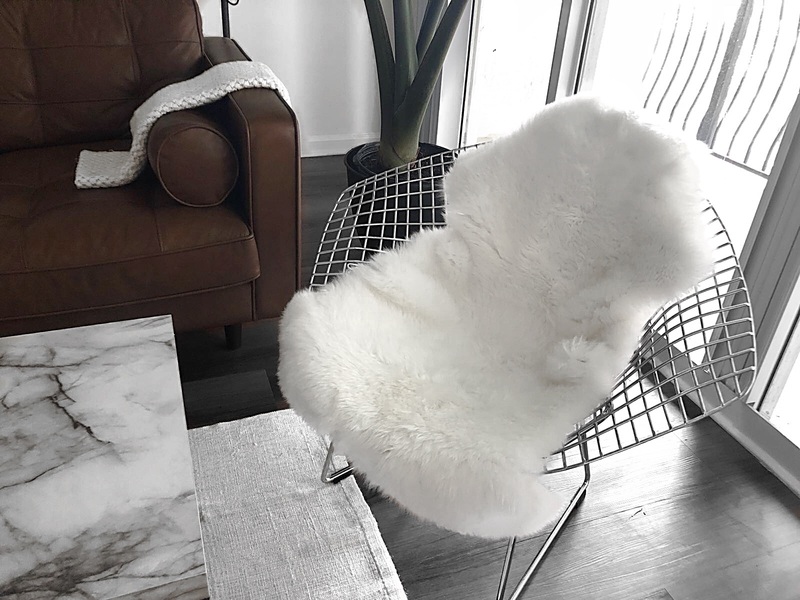 You can get the most beautiful, soft and fluffy rugs from them, I'm head over heels in love with this rug, it's so versatile, it's crazy. You can use it as a proper rug for a small area, mix and match it with other rugs and textures or use it the way I am right now. 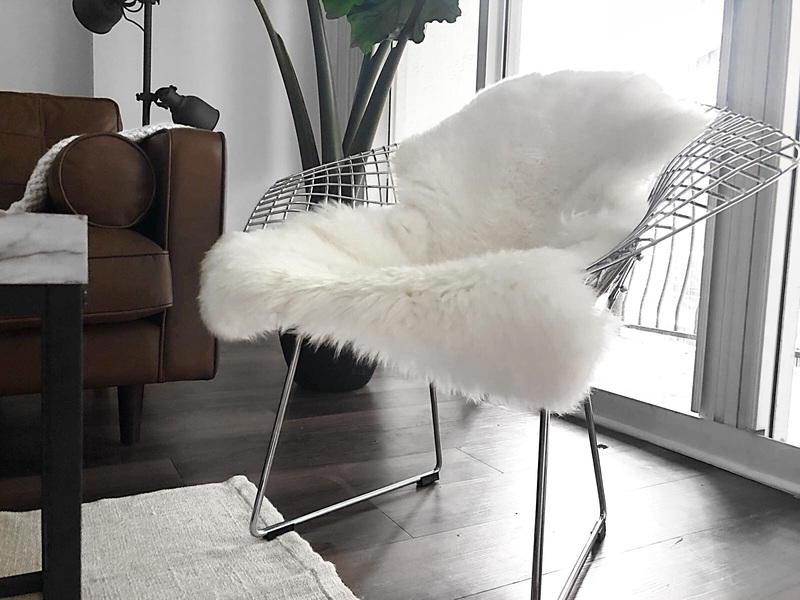 It adds more comfort to the chair, it gives more character and provides a very chic-glam look to the living room as well. The size it's perfect, the quality is way better than what I was expecting, it's gorgeous. We're getting so many cool things, I can't wait to show you the rest. What do you guys think, are you liking the new Home Decor section? I'm having so much fun! I love every detail!!! The contrast with the chair is amazing! It should be a wonderful addition to our quest room. You gave us an idea how to create a room that makes your guests feel welcome and comfortable.